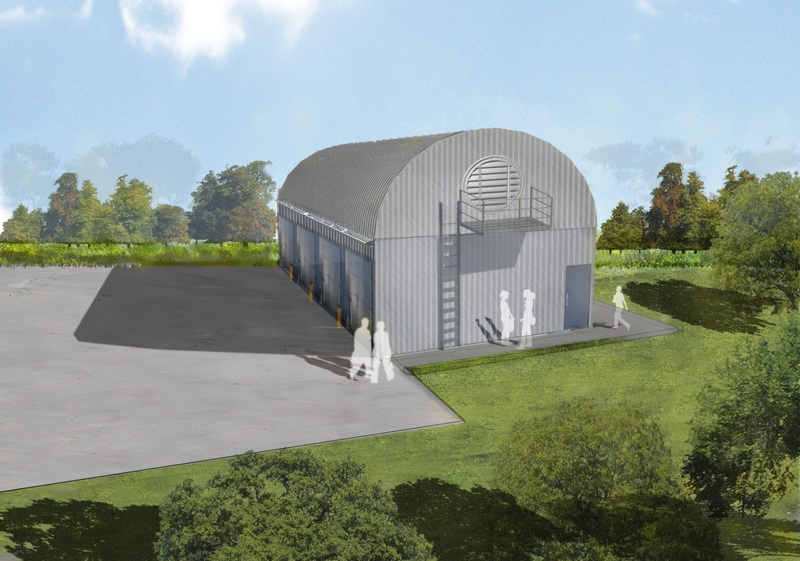 The Detroit Zoological Society (DZS) is pioneering an effort to turn waste into energy. 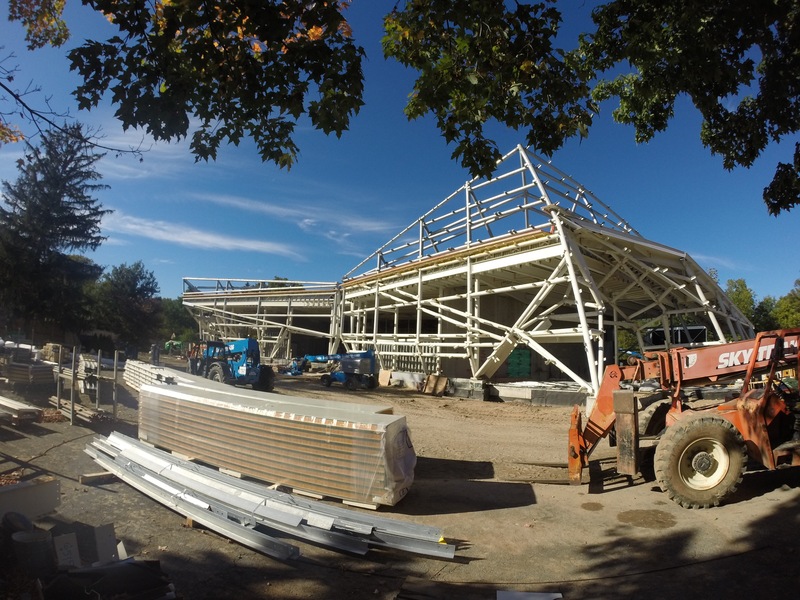 We are nearing completion of construction on our anaerobic digester, a system that will convert more than 400 tons of animal manure into renewable energy to power the Detroit Zoo’s Ruth Roby Glancy Animal Health Complex. The compost byproduct will be used on the gardens throughout the Zoo’s 125 acres, as well as donated to community gardens. No other zoo in the country has an anaerobic digester – the Detroit Zoo is the first to build and implement this system. Thus, a significant amount of research has gone into the planning, design and construction. 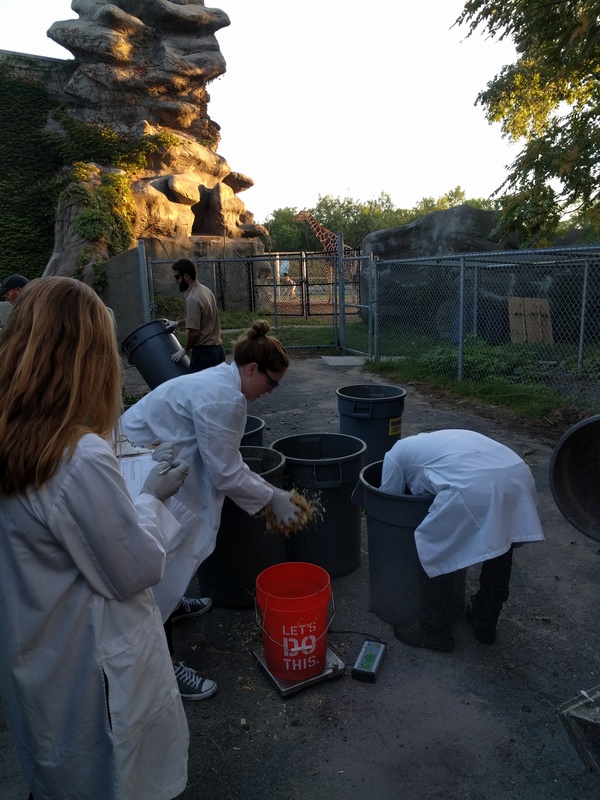 The DZS has working closely with Michigan State University – graduate students recently completed a survey to determine the biogas potential of animal waste produced at the Zoo, as well as the increase of biogas production with the addition of food scraps. This provides the DZS with a good estimate of future methane generation. Not only is the methane generation great for the Zoo, because we will be able to power the animal hospital with renewable energy; but the methane that would have been released into the environment – which contributes to climate change as a greenhouse gas – will be reduced. The excitement of composting waste is spreading over the Zoo. Animal care staff at the National Amphibian Conservation Center recently installed a batch-style composter in order to compost amphibian bedding and employee food waste – the resulting product will be used in the gardens surrounding Amphibiville. 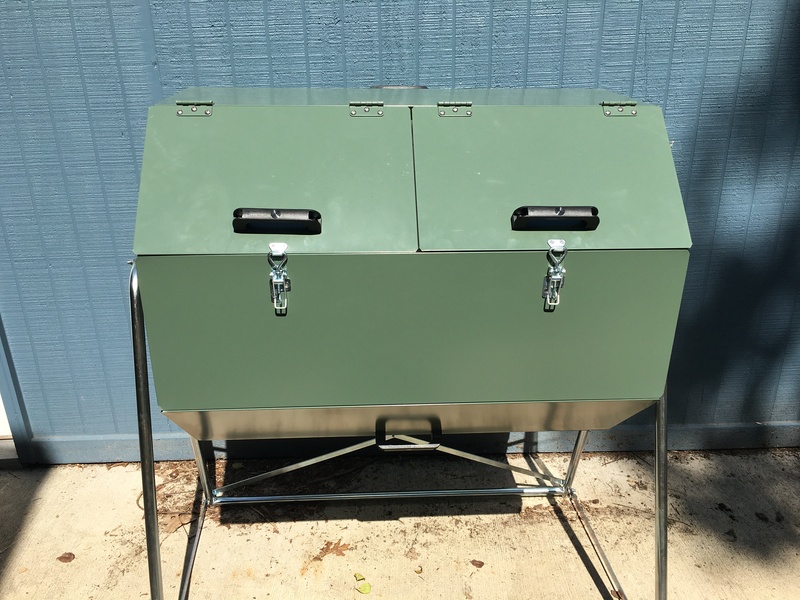 Batch-style composters are relatively inexpensive and can be implemented in most backyards. Those with large backyards could consider building their own composting area using wood pallets. 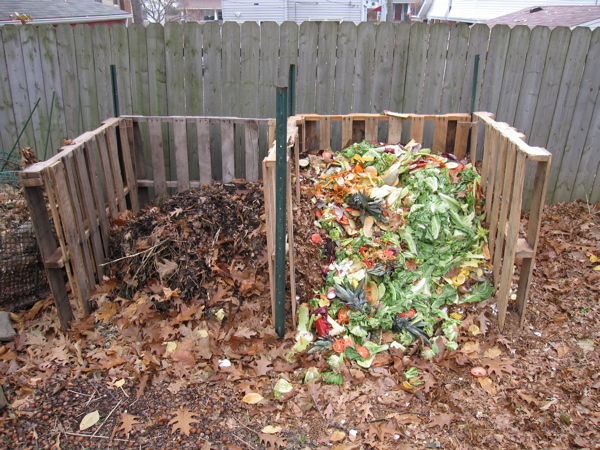 The EPA offers great tips for composting at home on their website: https://www.epa.gov/recycle/composting-home. We’d love to hear about your experiences with composting! Share your stories with us in the comments below. – Rachel Handbury is the manager of sustainability for the Detroit Zoological Society. Because it knew that it should, so it could. 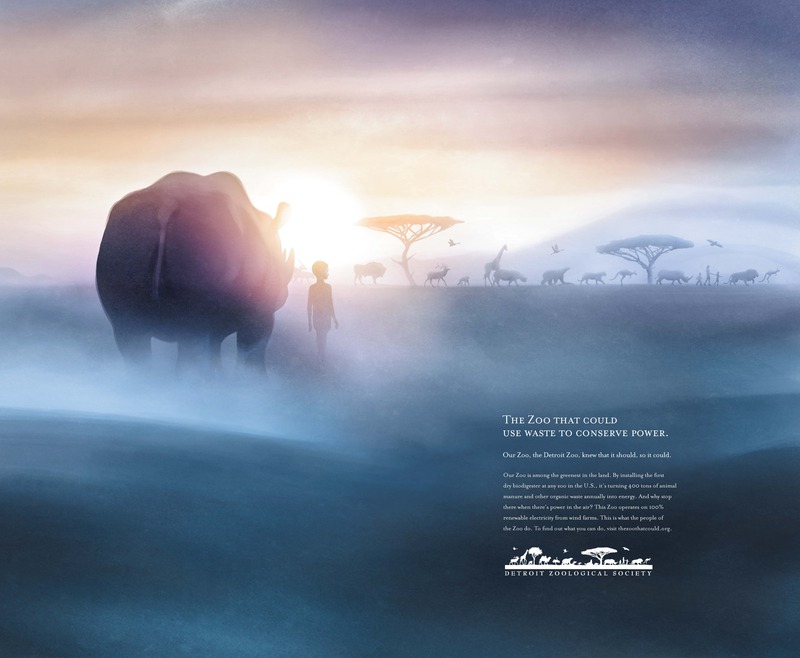 The Detroit Zoological Society (DZS) recently launched a new marketing campaign that highlights the many things we do beyond the Detroit Zoo’s 125 acres to advance sustainability, wildlife conservation, animal welfare and education, as well as our impact on the community. In ecology, sustainability is the capacity to endure; it is how biological systems remain diverse and productive indefinitely. The DZS’s Greenprint initiative was founded on the desire to lessen our ecological footprint. This unique, green roadmap guides our operations and is the plan by which we refine and improve our facilities and daily practices, develop new policies and programs and improve green literacy and action in our community. Our extensive efforts in sustainability have received national recognition – we were named among the greenest Zoos in America by the Association of Zoos & Aquariums as well as the Best-Managed Nonprofit by Crain’s Detroit Business, focusing on our green initiatives. The animals that we are dedicated to celebrating and saving serve as the motivation and inspiration for us to create a sustainable environment. As part of our efforts, we are offsetting our electricity use with 100% certified energy from U.S. Wind; constructing an anaerobic digester to compost more than 400 tons of animal waste annually to generate electricity that will power our animal hospital, and no longer selling bottled water in an effort to reduce plastic waste. We have also embarked upon an ambitious zero-waste initiative as part of our commitment to reducing landfill waste, thus reducing our Green House Gas (GHG) emissions. We can all be part of the solution for habitat and resource conservation by keeping our precious wildlife habitats free of plastic waste. Currently, 1.8 billion plastic bags are used and discarded in America every week and an estimated one million birds, 100,000 turtles, and countless other sea animals die each year from ingesting plastic. Small changes such as using reusable water containers and reusable bags have such a huge impact. Please join us on our Green Journey!